Feldkirchen, Germany — May 20, 2015 — Brainlab, a global leader in medical technology, has received the coveted Red Dot Product Design Award 2015 for Kick® Navigation and Kick® EM Navigation. Designed for physicians to shift easily between applications and move swiftly between departments, Kick was selected for its streamlined design and manoeuvrability which enhances the system’s ease of use. When combined with the electromagnetic field generator, Kick becomes Kick EM. Its minimalistic design makes Kick EM portable and easy to setup. These two tracking technologies allow surgeons to choose the option that suits their specific case. The international 38-member Red Dot jury discussed and assessed each of the nearly 5,000 entries from 56 countries, awarding the sought-after seal of design quality to the top products in each respective category. Kick joins Curve™ Image Guided Surgery and Airo® Mobile Intraoperative CT as the third Brainlab product to be honored with a Red Dot award. 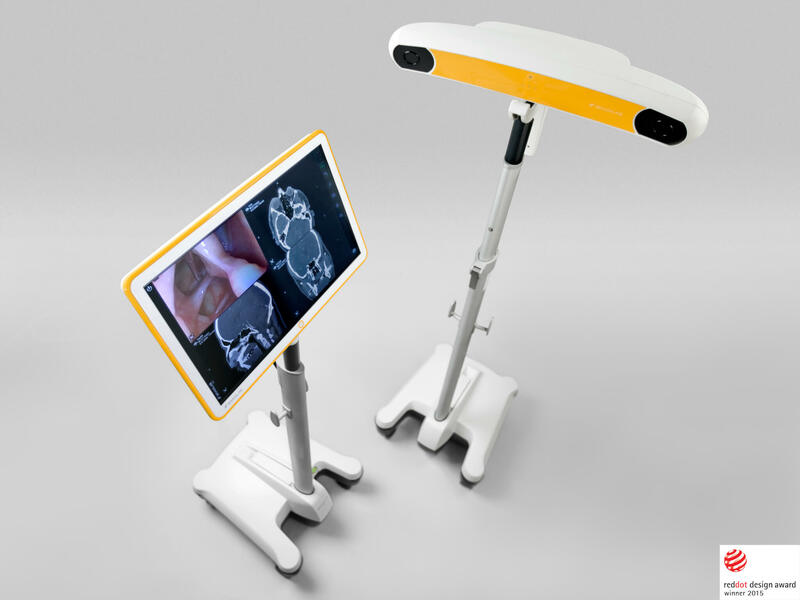 In 2012, Curve won for its human-centered design approach and in 2014, Airo—developed and manufactured by Mobius Imaging, LLC,—was honored for its one-of-a-kind imaging system design. The Red Dot Design Award breaks down into the three disciplines of Red Dot Award: Product Design, Red Dot Award: Communication Design and Red Dot Award: Design Concept. The Red Dot Award was created by Design Zentrum Nordrhein Westfalen and with around 17,000 entries each year is one of the best-respected design competitions in the world. In 2015, it is celebrating its 60th anniversary. It was in 1955 that a jury convened for the first time to assess the best designs of the day. The sought-after award, the “Red Dot”, is the revered international seal of outstanding design quality. More information is available at www.red-dot.org/press.